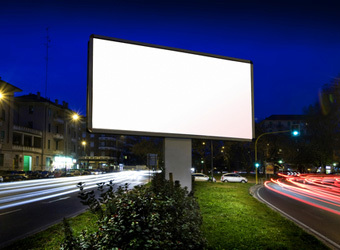 Daily contacts with out-of-home (OOH) advertising grew by 9% year on year in 2013 at a time when other traditional media are seeing a decrease in audience numbers and market share. The industry’s measurement system MOVE is driving the growth, its administrator the Outdoor Media Association (OMA) says, with the average person encountering 25 advertising faces each day. The increase of 30 million daily contacts pushed total contacts up to 385 million for the year, as a result of a number of updates to data within the system including market changes, population changes and changes to signage. Network updates contributed to 3% of the increase, while population changes added 3.5% and signage changes donated the final 2.5% increase in total daily contacts. OOH inventory has been updated to account for changes to size, location, orientation, digital conversion and lighting. In addition the increases in total daily contacts, the recent government ‘Household Travel Survey’ (HTS) shows people are travelling further when making social and recreational trips, OMA says. Coupled with the national population growth rate of 2.8% the audience is growing and more mobile than before. MOVE will launch its 2013 data update on Wednesday 13 March.